← Of Which Context Do You Speak Of – And Post Of? 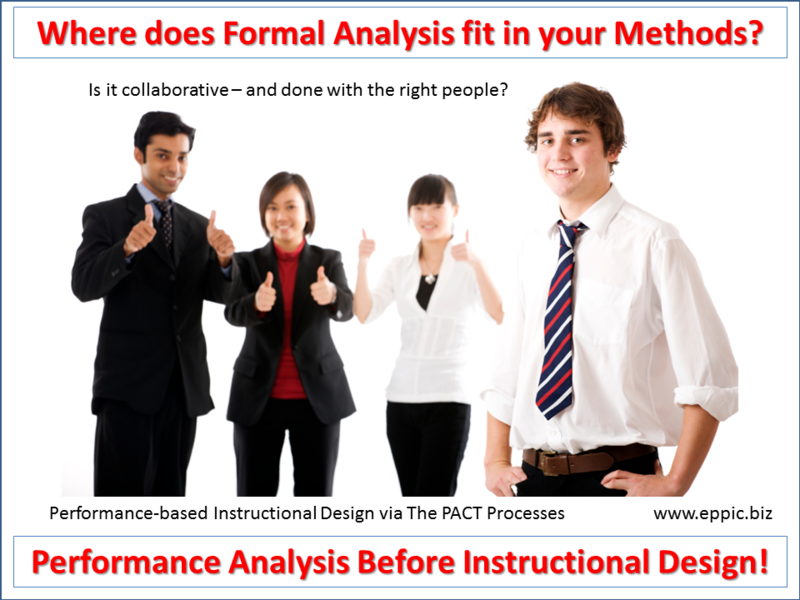 Collaborative Analysis – Who Owns the Process and Who Owns the Content? Do it well and quickly. Very quickly. And with ultimate buy-in. 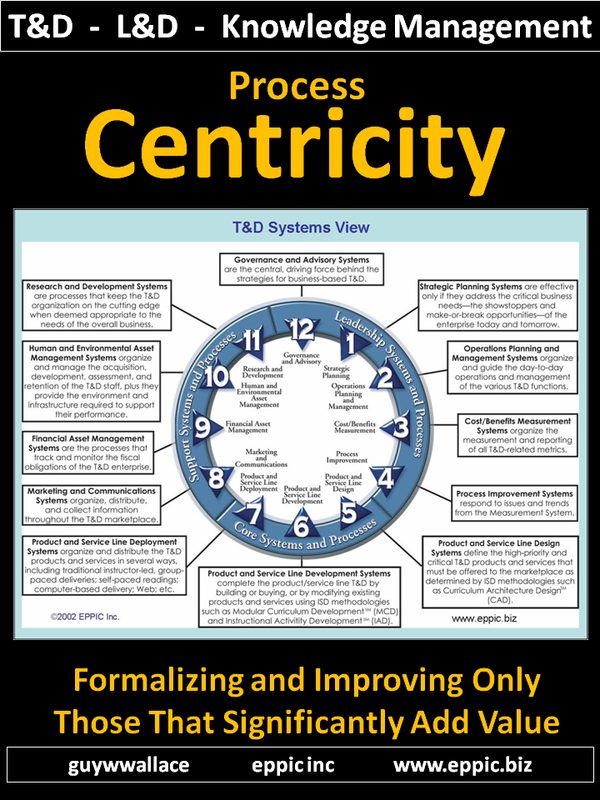 Buy-in – with the individual contributors, and their managers, and their cross-functional peers who together are the players in the interwoven set of processes that is a modern enterprise today. The best way to buy-in – is to give them ownership of the outputs. After selling them on the whos, whats, whys, wheres, whens and hows of your process – in other words: sell your process and the framework of data – that they, the will own when complete. If you need to distinguish Outputs from Tasks that’s your call. 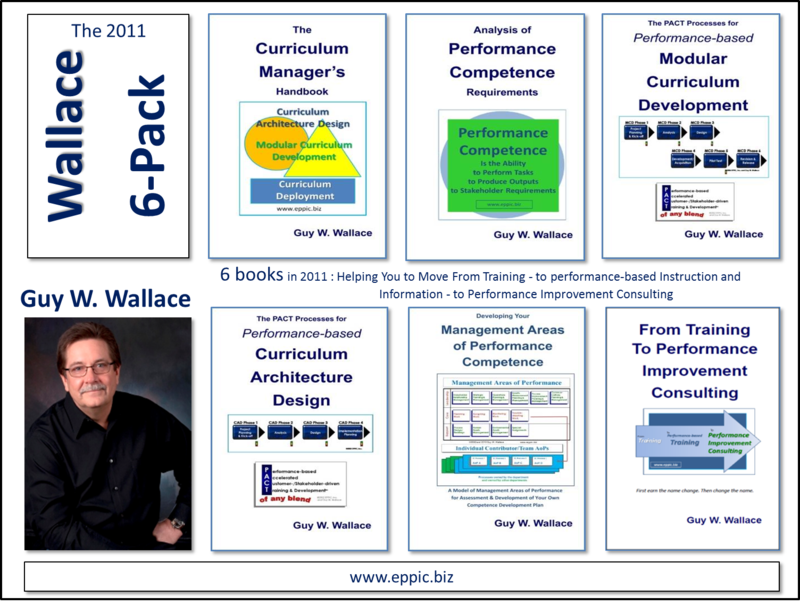 But what goes in those “fields” should be, can be a consensus outputs from the experts, exemplars, masters, or in my terminology – to leave no-doubt that this isn’t an expert in just subject matter – but is indeed an expert in the Performance of Tasks to Produce Outputs to Stakeholder Requirements – that I call: master performers. When they own the outputs – and those meet their needs as inputs – then we win. 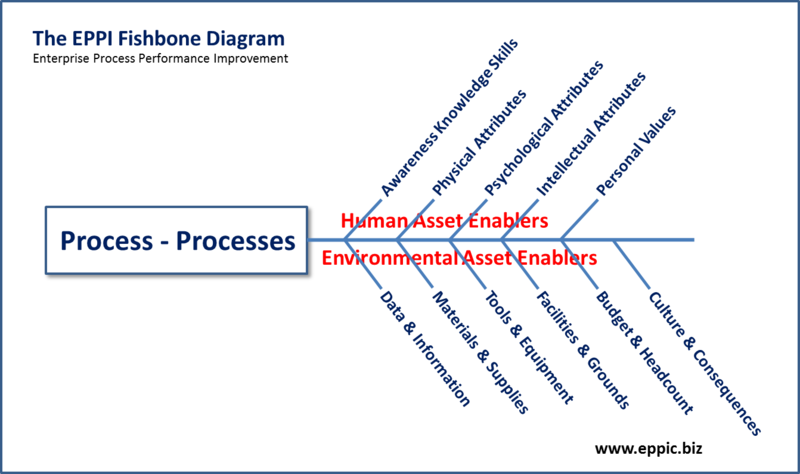 If we control the process to insure output validity with the most effectiveness and done with the most efficiency – then we all win – all Stakeholders, Customers included. But not exclusively. That’s what the flexible PACT and EPPI methods and processes accomplish – with a little help from your customers and stakeholders. 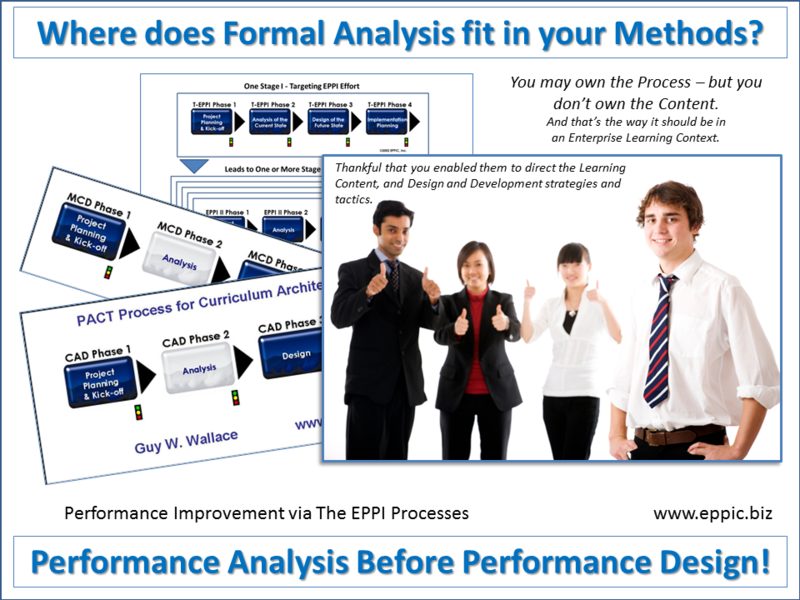 It is helpful to all for your analysis efforts to be lean and both effective and efficient. 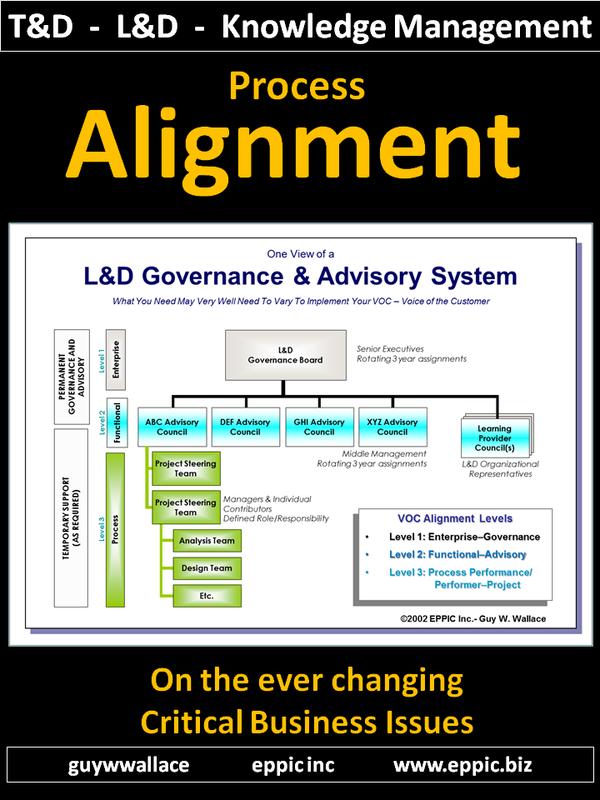 Effectiveness is measured after the fact at L4 and L3 – and predictably prior at L2 and L1. 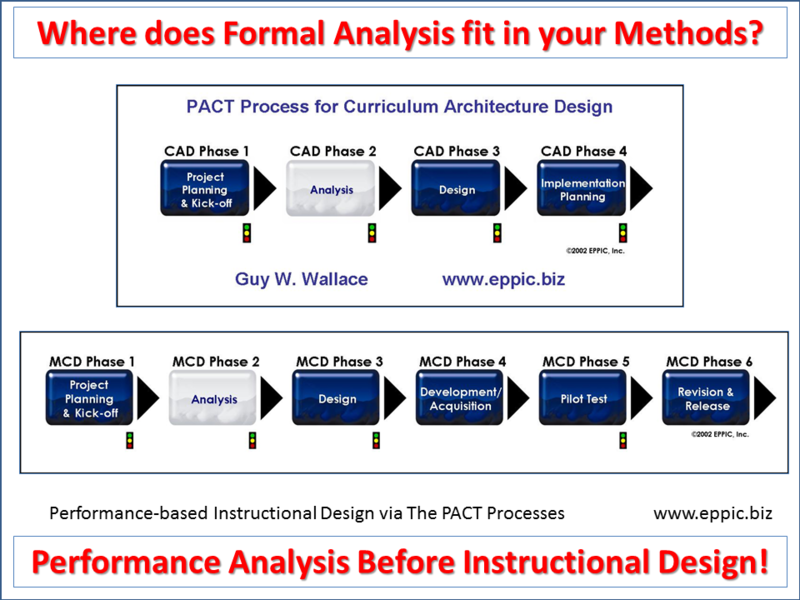 I have formal – but quick – analysis efforts built into to every project plan – as a starting point. For either adoption or – adaptation. 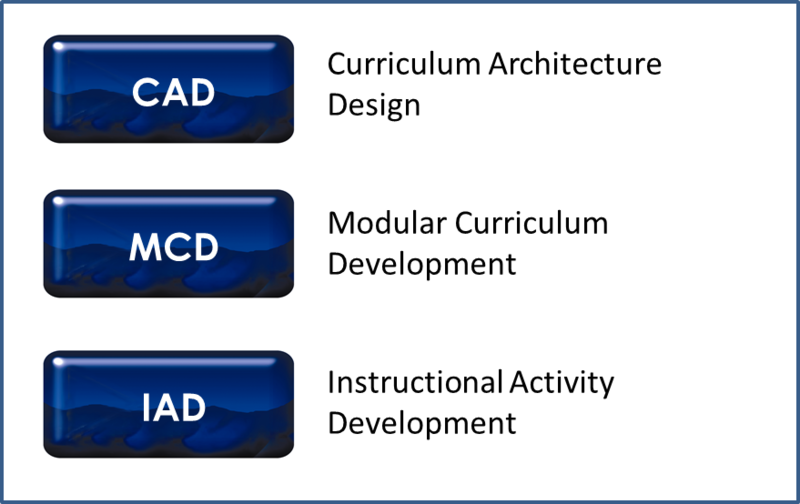 And it does the same in an MCD – Modular Curriculum Development effort. Only in a smaller scope – not the whole job – for the last 3 of the 4 data-sets. 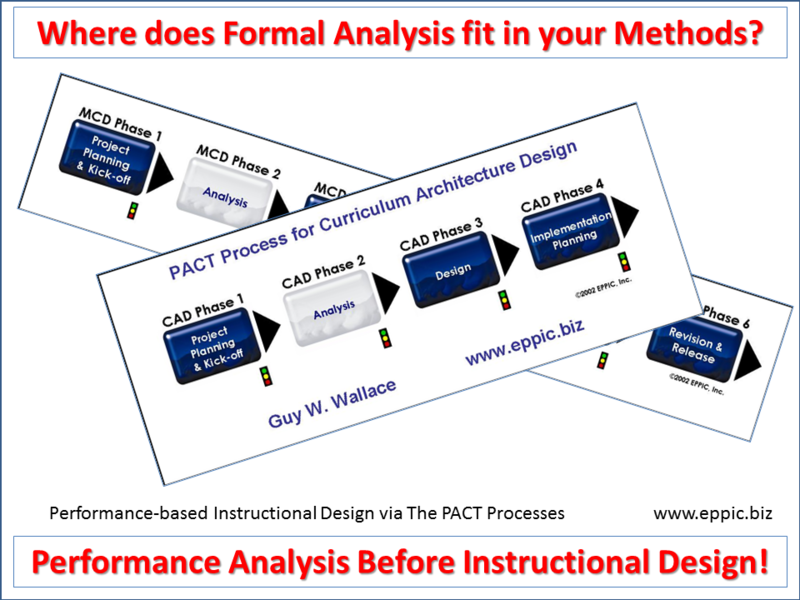 And that MCD data – builds on any CAD data available – or it exists on its own – as MCD can be preceded by a CAD effort – or not. 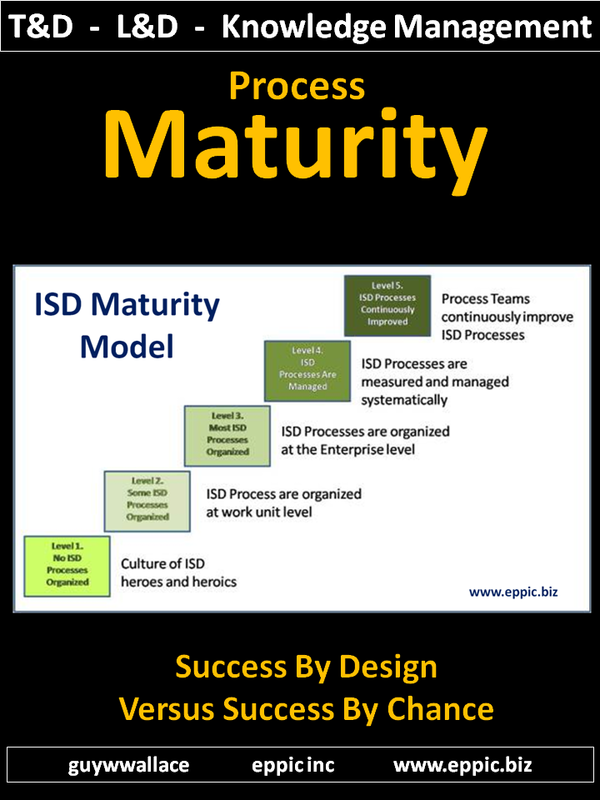 But ISD – Instructional Systems Design – only addresses the knowledge and skill variables that are required from the human assets needed to enable Process Performance. 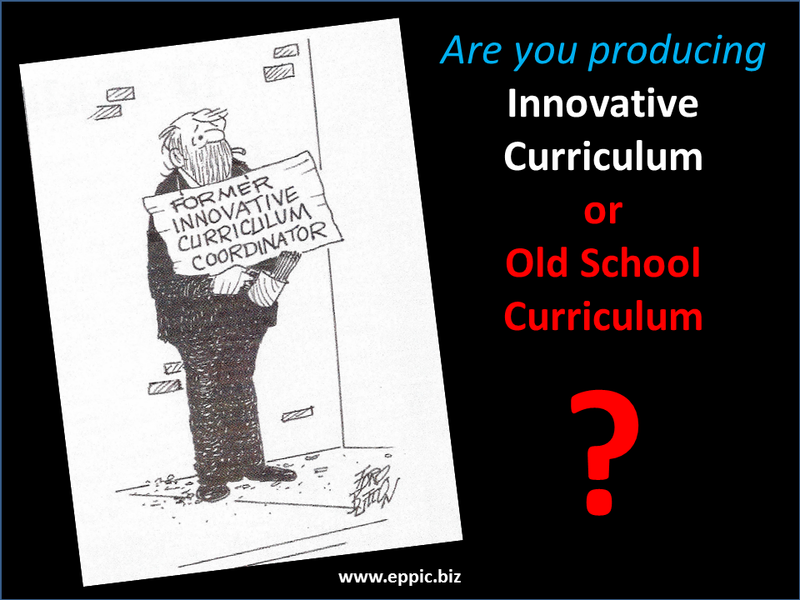 There are other variables to Performance than just knowledge and skills. 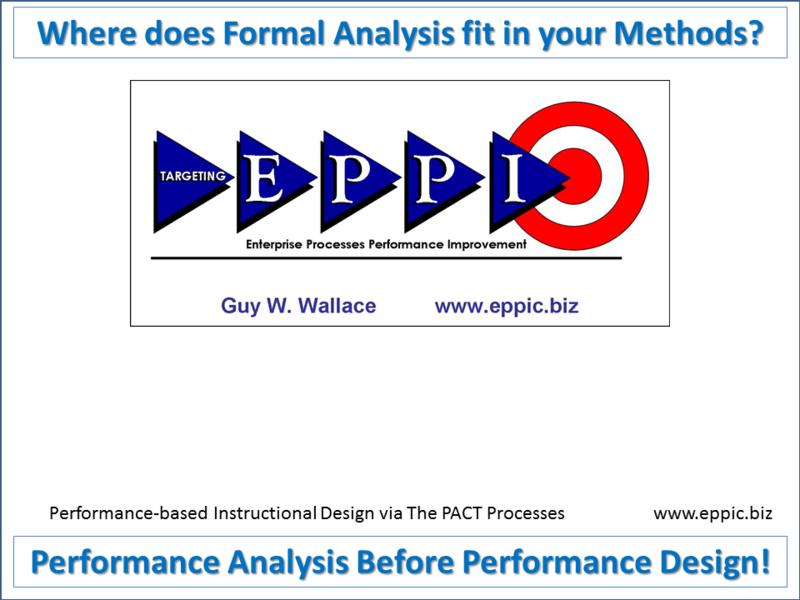 So when it is needed – the analysis effort segues/ broadens to become an EPPI effort – an Enterprise Process Performance Improvement analysis effort – leading to many potential intervention types. 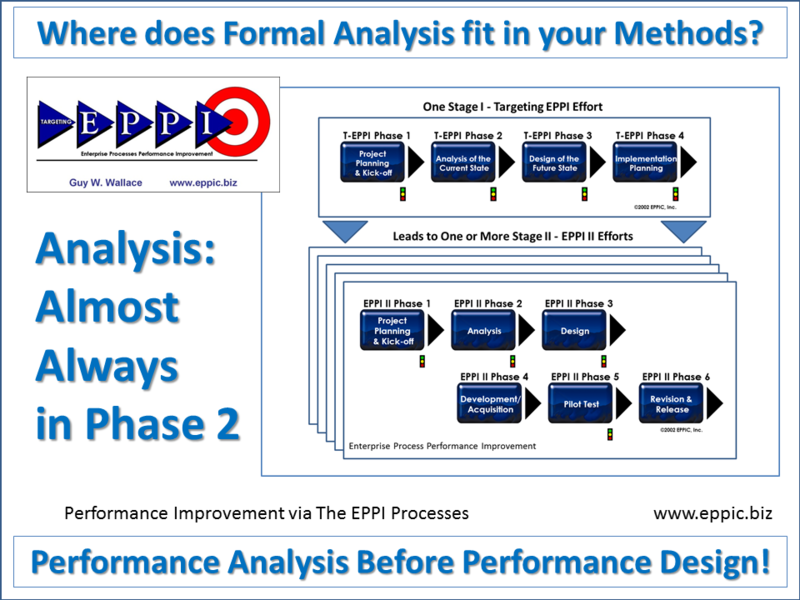 Analysis shows up in both the Stage I and Stage II EPPI efforts. And of course builds on the data the came out of prior efforts – such as EPPI Stage I building on that downstream in EPPI Stage II. 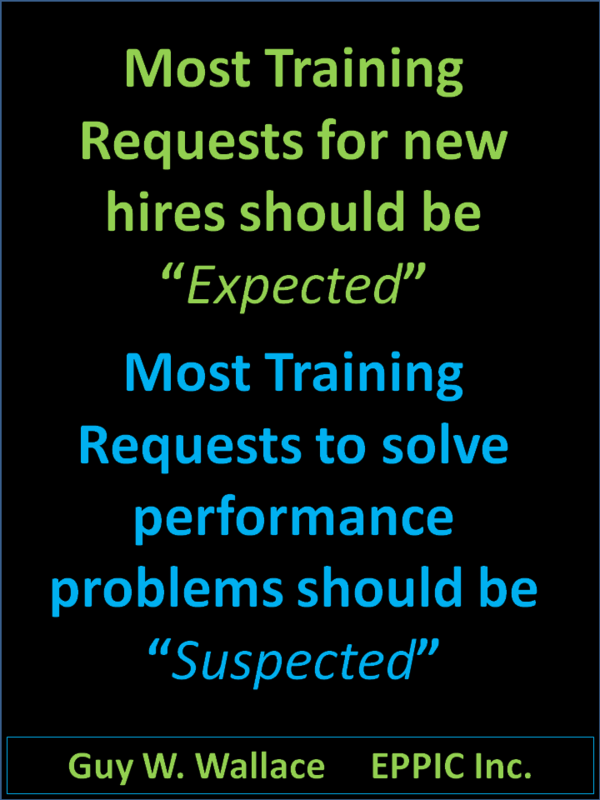 The key thing about Processes – is that they deal with real People, in a real Performance Context – and have great insight into what will really work, and what will meet their real performance needs. 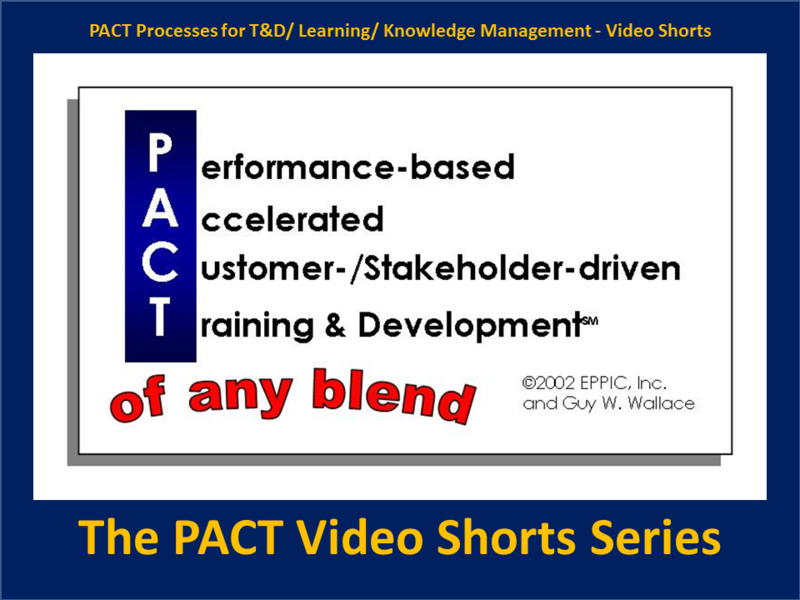 When appropriately involved – and respectful of their time and efforts – Master Performers and other Subject Matter Experts should own the Content specifics. You make sure it is both valid – and – useful downstream. I share my experience for a fee and for free. See more about these 6 books please go: here. Then there is the Video Shorts Series. Over 55 Video Shorts are in the overall design – with 15 initially available. See more information and to begin access for viewing please go: here. 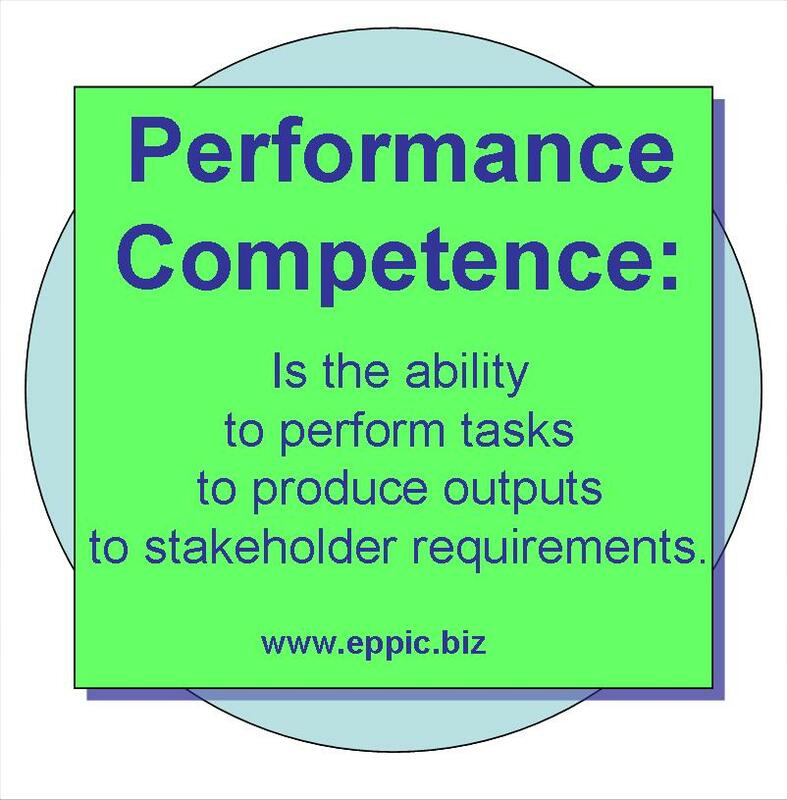 Performance Competence – in the PACT and EPPI Processes and Methodologies – is all about meeting the stakeholders – all of the stakeholders’ – balanced requirements. Balancing involves determining which requirements supersede others – and which cancel out which of the others – when in conflict. Information about Formal Workshops and Less formal Coaching Sessions – on any and all aspects of The PACT Process and EPPI Methods – are available here. And all may be adapted to your specific situation and needs!